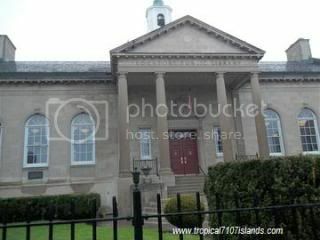 It was raining and a mix of snow yesterday when I drove to the Lockport public library. I am glad that my GPS brings me to where I want to go. I was surprise that is close to the church. I have to go to the Lockport public library to print our e-tickets from my email address. My printer is not working. I have no clue how to fix it. 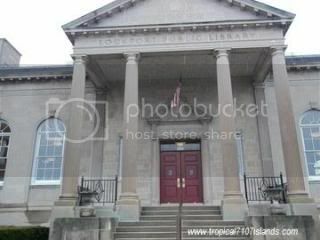 The Lockport public library has the three stories. I joined the library membership for free. The library is huge. I am amaze really. I cannot wait to bring my kids to the library. They have the books and movies for kids that I could borrow. It feels strange using a computer in the library. You could use the computer for an hour of free. I did not stay longer as I already print the e-tickets. I also love their printer and the machine that you used to pay. The printer is big and so as the scanner. You can drop your coins in the vending machine. I feel so awkward asking somebody’s help how to use the printer. I know how to do next time. Experienced makes me feel happy that I learn something new that day. Have you visited your public library yet? You should check it out too. It is a great place to read books, magazines or newspaper or any readable materials you want. I wanted to take photos inside the library. I am not sure if they will allow me. I will ask next time. I am linking this entry to Tuesday Travels. This entry was posted in books, computer, electronics, machine, services, tickets and tagged e-tickets, GPS, library, magazines, printer, scanner. Bookmark the permalink.